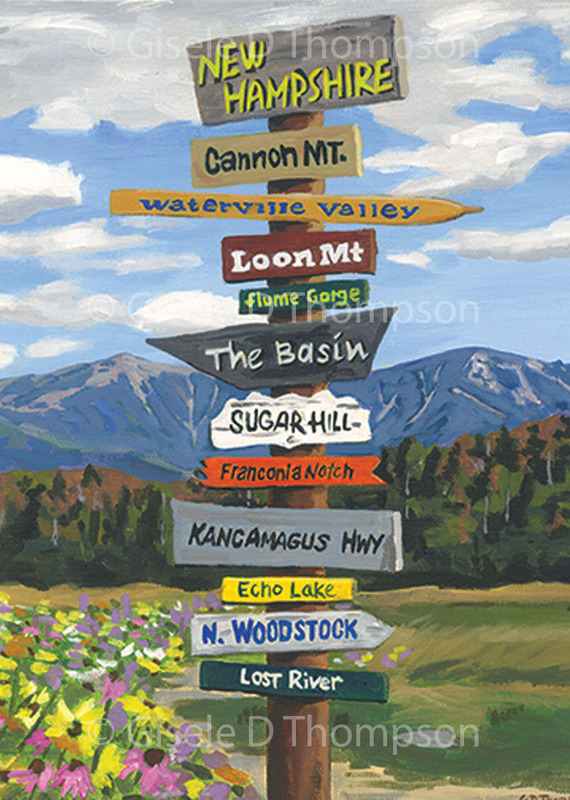 Paintings by Gisele D.Thompson Spending summers on a lake in Maine, a farm in New Hampshire, or beaches of California, the need for connection to nature is imprinted on her mind and spirit. 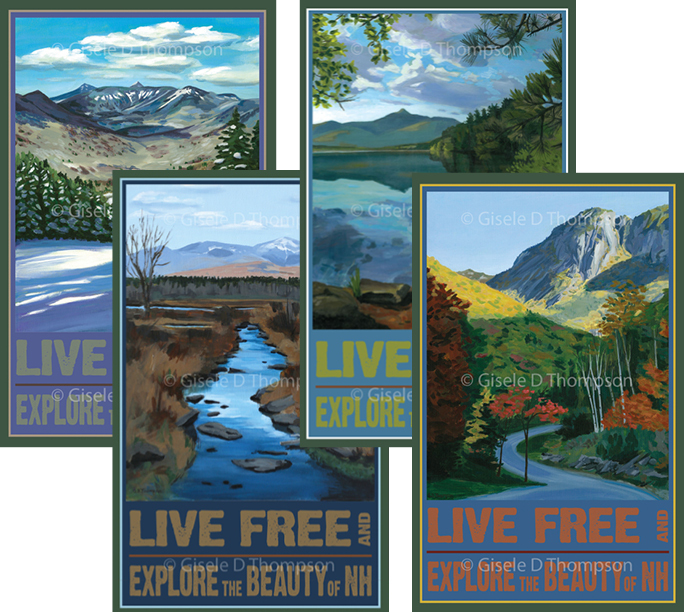 Having relocated to her home state of New Hampshire after 28 years in Long Beach, CA, Gisele created a series of paintings celebrating the beauty and iconic scenes of the Granite State. Working from photos, the paintings are done in her studio working with acrylic paints on canvas or wood panels. Gisele has a Masters in Fine Art from CA State University Fullerton and has been painting professionally for over 15 years. Also Member of NH Art Association and WREN. Work available at Wild Salamander, Local Works, Route 101, and All Things Repurposed. Studio is open by appointment or by chance. 513 Donald St., Bedford, NH.